Have you ever been to the cinema only for some idiot to spend the entire two hours kicking the back of your chair? It’s so annoying, isn’t it? The film could be the best you’ve ever seen, but it’s impossible to enjoy because Popcorn Lionel Messi has decided to play football with your head. Well, this is what happened with me and Resident Evil 2, only it was the game itself doing the chair-kicking. It’s a (mostly) superb remake of one of the most iconic horror games ever made, and in terms of atmosphere and tension it’s probably the best survival horror I’ve played since Alien: Isolation. But I feel it’s important to point out that I did not have an ideal first experience with it because of one small yet incredibly frustrating issue that affected much of my first play-through. We’ll get to this, and how much it affected my feelings about the overall game, later. For now, let’s talk about the excellent job that Capcom has done rebuilding Resident Evil 2. And this is fundamentally a re-build, essentially a whole new game in a whole new engine. They’re not merely cosmetic changes either; the way it moves, looks, and plays is vastly different from the 1998 original. And yet in almost every element Capcom has managed to retain the essence of that daft, clunky, magnificent game that originally launched 21 years ago(!). The atmosphere, the item-based puzzling, the slightly B-movie vibe. It’s all there. Okay, specifics. 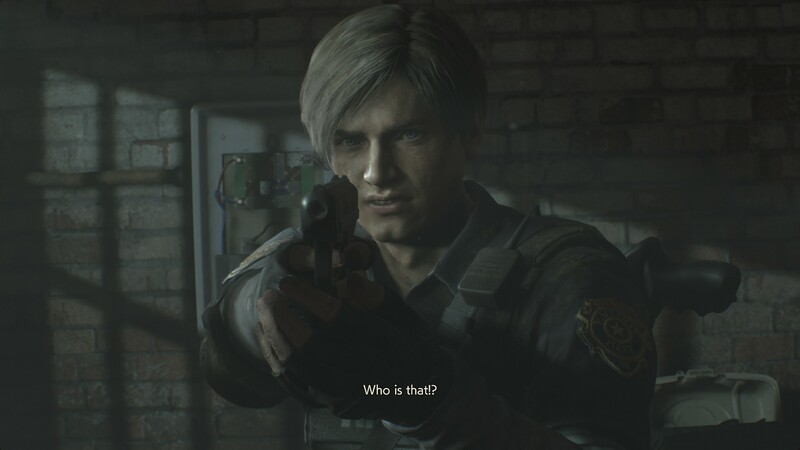 It’s the same story-beats, and you still choose to play as either Claire or Leon at the outset of the game (Resi fans will be happy to hear this includes A and B scenarios for each character). But now the experience comes with full voice acting, state-of-the-art animation, and gorgeously revamped environments viewed from a new perspective. More interestingly, the script has also been carefully rewritten to give characters more nuance and more believable lines. There remains a faint odour of cheese about the whole thing, but it feels much more deliberate. Such clever rejigging is a theme that runs throughout the remake. For example, Capcom has tinkered with the opening a little. Now, there’s a playable prologue centred around a gas station outside of Raccoon City. It’s only brief, but it helps set up the story a little better, gently guiding you into the game instead of immediately thrusting you onto a street filled with Zombs. 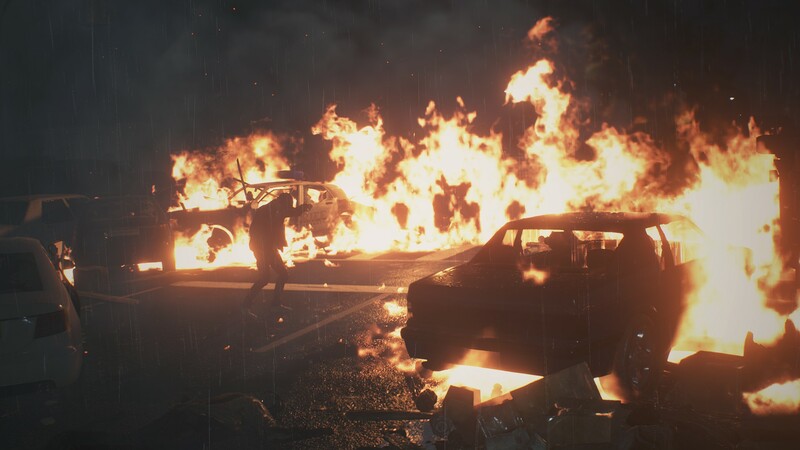 That sequence, incidentally, is even more fraught and terrifying than the first time around as you weave between jagged lines of crashed vehicles, avoiding the swipes and lunges of the undead in the process. 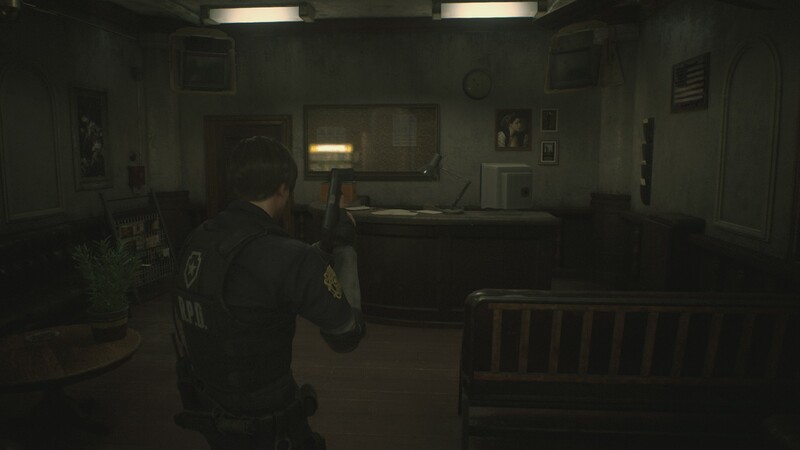 Naturally, most of the work has gone into the Police Station, one of the most memorable settings in all of gaming. And boy has Capcom done it proud in its adaptation. The central hall retains the same basic layout, with twin staircases flanking the giant marble statue that hints at the station’s former occupation as an art museum (still a wonderfully eclectic combination). Now, however there’s a desk at the front, and two large columns supporting the ceiling, a Stars (or should that be S.T.A.R.S?) and Stripes flag dangling from each. The room is also littered with electronic equipment, weapon crates, and medical screens, giving you a greater sense of the building’s siege-like state. Venture deeper into the station, and the desperate nature of the situation is revealed. The Eastern corridor has been flooded by a leaking toilet, the ankle-deep water, black from darkness, reflecting the flickering lights that provides momentary illumination as you wade nervously forward. The Western office looks like it was abandoned in moments. Notebooks are still open on officer’s desks, while a WELCOME LEON banner dangles from the ceiling. It feels like a workplace, a place that was lived in, right until the moment life just stopped. As you progress, you’ll encounter doors that are locked or otherwise blockaded. Perhaps the most impressive bit of rejigging Capcom has done is to the game’s puzzles. I’m not going to go into any great detail on these, but it’s enough to say that you won’t be able to rely on 20-year-old walkthroughs to get you through. Many of the 'key' items remain the same. You still need to develop rolls of film in the station’s Dark Room, and you’ll still need to locate the four 'Suit' keys. But their hiding spots are different, as are the doors they unlock. It’s very cleverly done. And of course, you’ll be trying to fathom solutions while constantly under the threat of something looming from the darkness and nibbling on your flesh. 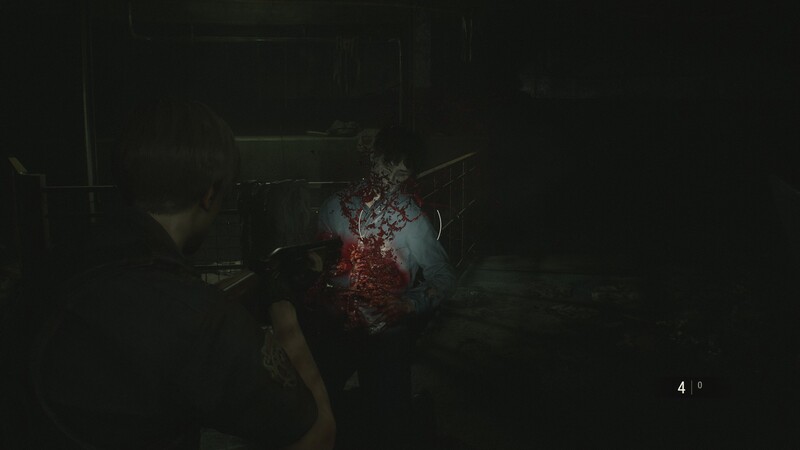 Resident Evil 2 is an intensely frightening experience, and it’s because it takes its time to build up the tension, to bake the dread into your psyche. The shadows are so thick they’re almost viscous. The soundtrack is scratchy and minimalist, allowing the click of your footsteps to form the beats and the creaks and groans of the station itself to provide the rhythm. It’s a game wherein walking feels like the right way to move through it, because you really don’t want to run unless you absolutely have to. 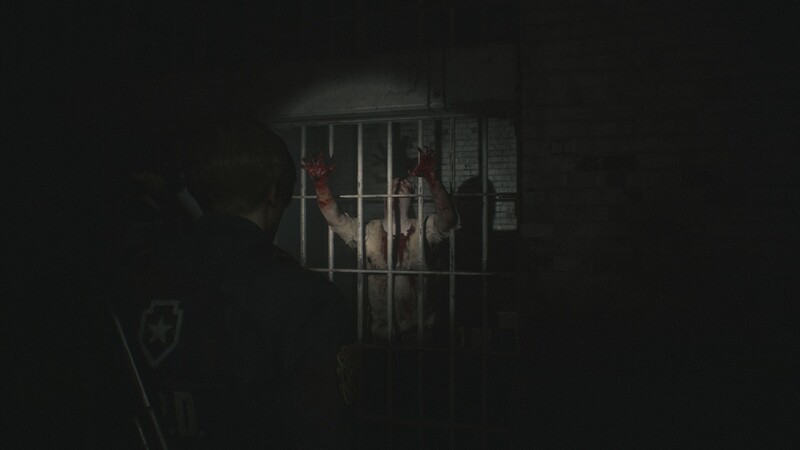 Speaking of which, all the critters and nasties you remember are present and correct, but the stars of Resi 2’s horrorshow are undoubtedly the zombies, which can only have been created through some arcane wizardry. They’re so good, from the way they stumble and shamble about, never seeming to move quickly and yet somehow crossing a room in seconds, to the way they react when shot, staggering, flinging their heads back, looking as if they’re about to fall, then straightening and coming after you again. They might go down three, four times before finally staying put. They might get up again when you return to that room half an hour later. They’re a perfect representation of a classic zombie, slow and stupid yet relentless and easy to underestimate. There are so many other things that I’d like to praise the game for. 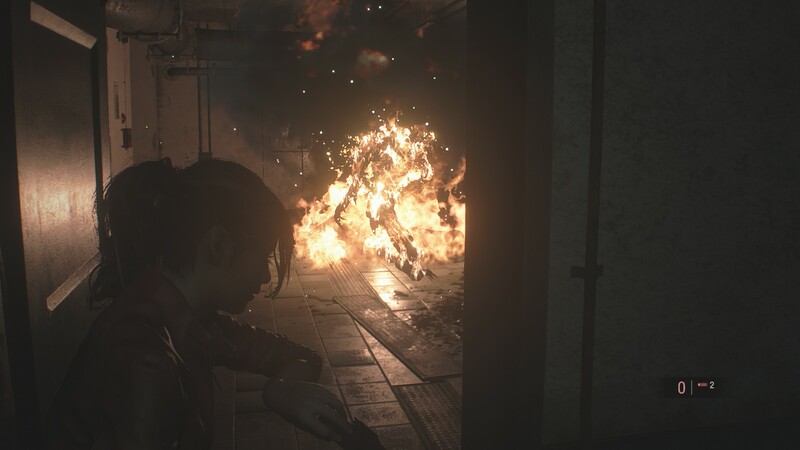 The combat is great, taking the over-the-shoulder gunplay of Resi 4 and stripping it back just enough so that it’s in line with the slower, more cumbersome shooting of the original. The introduction of 'Escape' items, which let you use a knife or a grenade to escape the clutches of an enemy unharmed, works really well. There’s also a superb twist in the second act that radically alters how you explore the police station, forcing you to throw caution to the wind and take risks that you would have done anything to avoid in the first few hours. All of this is great. But now we come to the one issue that I struggled with throughout. As I mentioned, darkness and shadow are an important component of establishing Resi 2’s atmosphere, and as part of that the game features an adaptive brightness that increases and decreases depending on where you are in the game. But for some reason, for me this system didn’t work properly, so the game would continually get darker to the point where just I couldn’t see. What’s more, the only way to restore the original brightness level was to restart the whole game. I’m sure this is a bug, and I eventually managed to work around it by changing the game’s colour-space option from sRGB to Rec .709, which let me whack up the brightness without washing out the screen. But I only figured this out toward the end of the game. Consequently, my first run-through was made very problematic, as I’d often have to stumble around toward a save point so I could restart to reset the brightness level. I’m now halfway through a second run as Claire and, having worked around that incremental darkening issue, I’m enjoying it as I should have done the first time around. However, it’s also confirmed my suspicion that my problem wasn’t entirely due to a bug, and that the game is simply too dark in certain areas. What doesn’t help is that the torch you’re equipped with is automatic rather than player-controlled. So if an area is too dark for your particular screen-setup, the only thing you can do is tinker with that. It’s also a shame because Resi 2 is a gorgeous game, but you can’t always see that because it is so shrouded in shadow. Were it not for this issue, I’d say that Resi 2 is comfortably the best remake that has ever been done. As it stands, I think last year’s Shadow of the Colossus was a slightly cleaner overhaul, but it’s also worth noting that was a more straightforward adaptation. 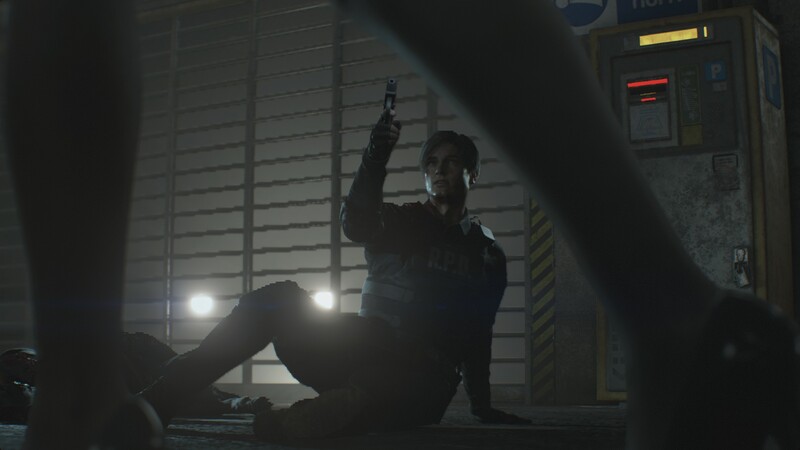 Resident Evil 2 isn’t just about taking that original game and making it look better and run smoother. It’s asking, 'How do we make this game relevant for today?' at virtually every level. That goes both for newcomers to the game and for players who know Resi 2 inside out. If the cost of that is I have to squint at my screen on occasion, so be it. 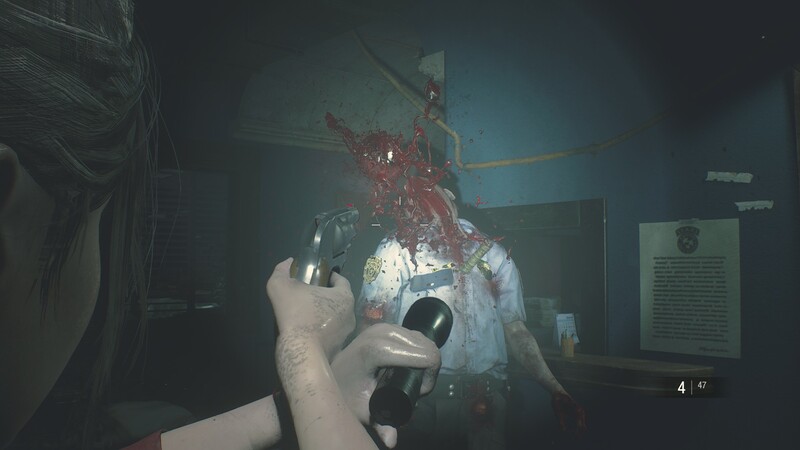 Capcom's first-person spooker is a well crafted blend of old and new ideas.